Bollywood movies having just the right amount of comedy, thrill, spice and all things nice are also called blockbusters. These five blockbusters have one thing in common : Dubai. Having a cinematic appeal naturally, booking flight tickets to Dubai will give you the opportunity to click a selfie in some of the most picturesque destinations! Witness the shooting locations of these famous movies by applying for a Dubai Visa now. The comic combination of the ‘Welcome’ cast, comes with a promise to entertain you with their very screen presence. Paresh Raval and Nana Patekar, the comedy kings of Bollywood have managed to leave a lasting tickle on the audience. Their face off at the Grand Hyatt hotel where Nana Patekar throws a party, is the best. This lavish hotel stands gloriously over the edge of Dubai’s creek. Every penny spent here is worth the experience. Do you remember that hilarious scene where Anil Kapoor goes to extort money from Paresh Raval? The scene was shot in the Dragon Mart. It’s a shopper’s paradise, spread across an area of 1.2 kms. Don’t you miss the Dragon Mart on your Dubai trip. Come back loaded with as many shopping bags as you can, and I’m sure, Paresh Raval’s boutique scene will bring a smile to your face as you pass by. 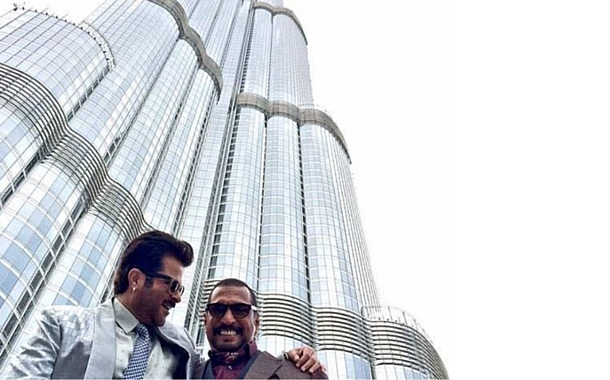 Check out the selfie clicked by Nana Patekar and Anil Kapoor at the Buj Khalifa. Race was one of the most celebrated thriller movies, and it successfully produced a sequel too. The intricate web of politics of the wealthier classes and overambitious people is the subject of the film. The movie was aptly shot in Dubai and Durban to reflect the wealthy background to the characters profile. These locations have helped the movie accentuate its extravagant lifestyle that it looked forward to promote. And what better a place than Dubai when it comes to the luxury of living. The most crucial scene in the movie, the climax racing scene was shot in Dubai. Dubai is definitely a place to splurge, every penny is worth the extravaganza. The Bhai of Bollywood, as he’s fondly called, takes the audience by storm with his cool moves and charm. The song ‘Chori Kiya Re jiya O Re Piya’, has been shot against the beautiful backdrop of Dubai’s landscape and architectural wonders. One scene in the song is shot at the Dubai metro station Khalid bin Al Waleed. There’s another scene where Salman Khan and Sonakshi Sinha take a selfie in the Deserts of Dubai with a Falcon in hand, and they take a romantic ride in the sand dunes of Dubai. The later part of the song was filmed at the Emirates Palace hotel in Abu Dhabi, where they walk hand in hand amidst the elegant interiors of the Palace hotel, an architectural beauty indeed. What choice do you have when two fine artists who hold a reputation for perfect comic timing, come to you? You got no choice than to let your jaw muscles ache due to laughter. 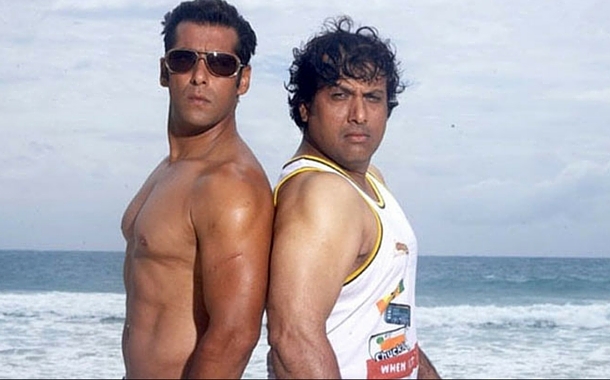 Partner is one such movie starring Salman Khan and Govinda who entertain you to the fullest. The stunning lady lead Katrina Kaif steals the show with her moves. She plays the role of a lady with power, she owns a business, and to reflect her power and status, her office is established in the Chelsea Towers, Dubai. Dubai has the perfect glam for both leisure and business. The famous song that played on loop post its release, ‘You’re my love, Janeja you’re my love’ , was shot in Media city, Dubai. One can’t deny that Dubai and its beauty does add to the appeal of the movie. Another famous song from the film, ‘Maria Maria’ was shot at the grand Emirates Palace Hotel. The complete song captures the beautiful palace hotel as a backdrop, and it is indeed a treat to the eyes. 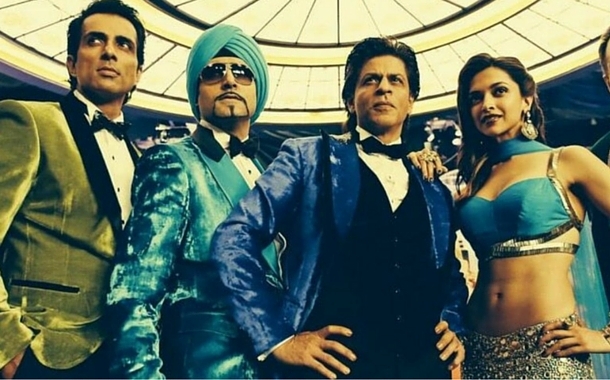 The happy and happening cast of ‘Happy New Year’ did entertain us with a lot of dancing and their nature of comedy. Since the story revolves around the grand dance competition in the UAE, most of the movie was filmed there. The majority of the shoot was done at the luxury hotel Atlantis, The Palm. The director Farah Khan also said that she wrote the script keeping Dubai in mind. She envisioned the story against the backdrop of Dubai. The entire climax is shot around New Year’s Eve at Atlantis, The Palm, and so was the world dance championship. The song Satakli from the movie was shot in the Dubai Mall. Happy New Year was a complete entertainment, and with Dubai as its plot backdrop, the screen couldn’t stop glazing with the splendour of Dubai. 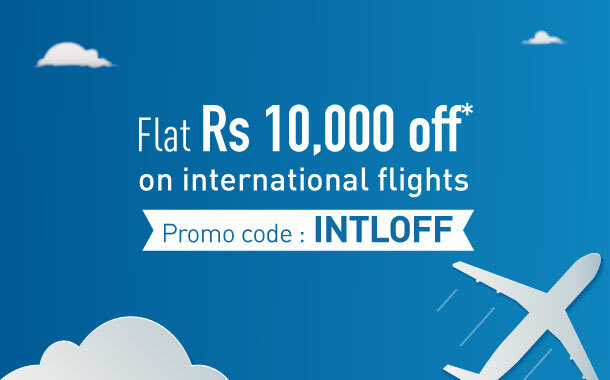 Get flat Rs 10,000 off* on flights to Dubai & other destinations. Use promo code INTLOFF. Book now.